Things to Do this Weekend: Adventure! Looking for something to do this weekend? Get ready for an unforgettable experience! 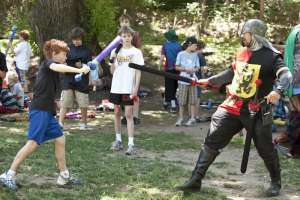 Renaissance Adventures takes part in a number of events, programs, and activities all year round, and especially in the warm months. Here are some offerings we have run in the past. To see what we currently have available, check our program calendar. Let us know what you are looking for in an exciting weekend – we’d love to customize our offerings for your event! Many Fridays we offer our Tabletop Game Night for teens aged 12-18. They get to hang out and socialize with other teenagers while they play our Adventure Quest Tabletop Edition game with dice and minis.